For my childrens Halloween lunch we went with pumpkins. Cheese cut out as pumpkins, apple slices with pumpkins cut out, I even found prestzels and fruit snacks with pumpkin shapes and who can forget a pb&j cut inthe shape of a pumpkin. They Loved It! 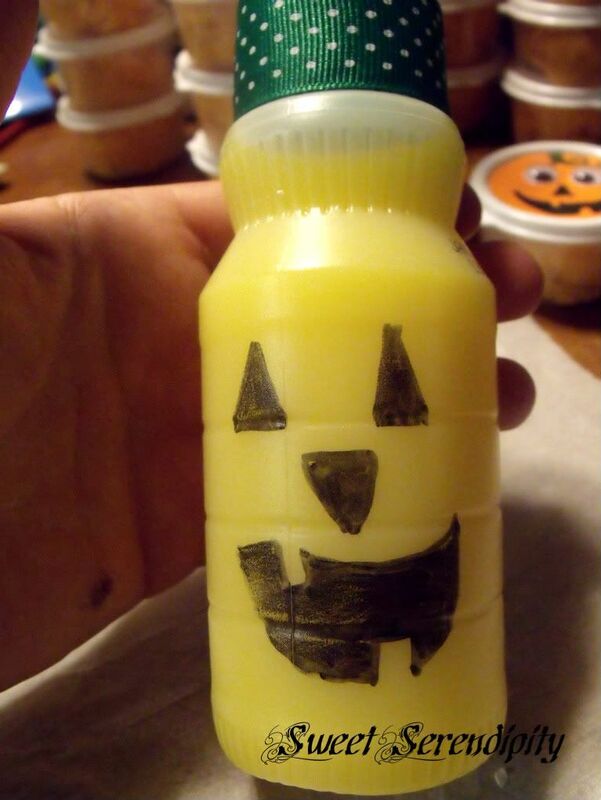 I bought Sunny-Ds and removed the label and then drew on a jack-o-lantern face with a permanent marker adn then glued ribbon around the top for a little finish. It was a fun additon to their pumpkin lunches.